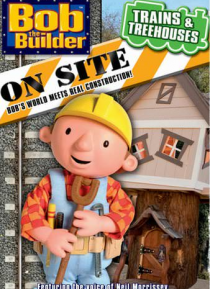 Bob and his 'Can-Do' crew are back on site with a brand new adventure! Join Bob as he builds a train set for Mr. Bentley as a birthday surprise and helps find a family of squirrels a new treehouse home. And, with the help of his trusty laptop and Little Red Truck, Bob shows you how it all happens in real-life, too!